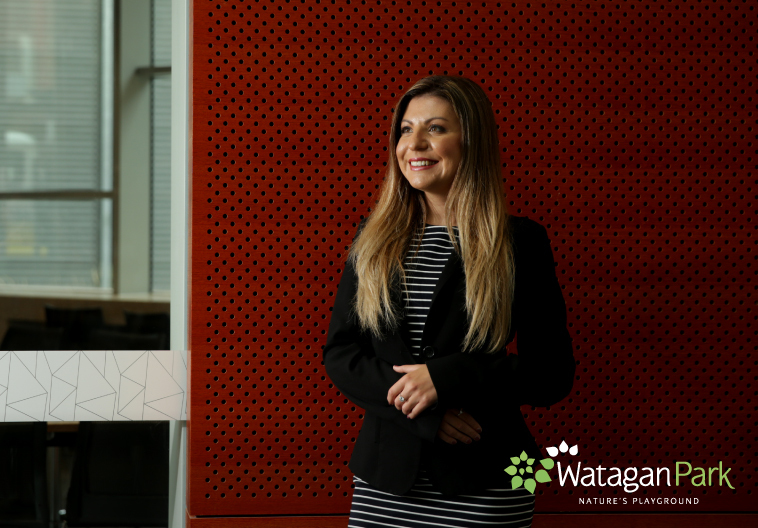 Now that the search has begun for Lake Macquarie’s 2019 Citizen of the Year, we sat down with 2018’s winner, Andreena Kardamis, to chat about the award and everything that it means to her. Each year, Lake Macquarie City Council takes the opportunity to honour and celebrate key people and groups in the community that have contributed to improving the region. The ceremony, which takes place on Australia Day, names a Citizen, Young Citizen, Volunteer and Community Group as winners of these prestigious awards. Andreena Kardamis was announced as 2018’s Lake Macquarie Citizen of the Year after her countless contributions to humanitarian projects and organisations. What qualified you to be nominated for the award? For the past year, I have been living in Bangkok, Thailand as Youth Advocate for the United Nations, but I started off as being the Chairperson for the Lake Macquarie Youth Advisory Council and then within the Youth Parliament as the Shadow Youth Attorney General. I was also the Youth Ambassador for Hunter Life Education. I jumped into the legal world and I’m now in the final semester of my law degree. Whilst at university, I became president of the University of Newcastle Law Students’ Association and then joined the Australian Law Students’ Association. I just do lots of volunteering because I genuinely love it. I’m also the Secretary for The Place youth and community centre. I really love that role because that’s a direct engagement with various community groups who come together and use The Place’s resources. I’ve tried to just do different things. The more you get involved, the more you understand, can contribute and add value to something. What inspired you about the other candidates from this year? The common theme throughout all the categories is that people are putting themselves out there and they are investing time and energy into making Lake Macquarie a really great place to live. There are so many amazing community organisations who are doing incredible things and they deserve to be recognised. I think the awards are a fantastic way to acknowledge the different groups who do a whole range of things for society. And most of the time, the community doesn’t know what these people are doing because people who do this, they don’t generally do it to get the acknowledgement. So receiving that recognition is really great. How did you feel when you received the award? At first, it was very much shock. I couldn’t believe it because this year was the first year that they had reduced the age. Prior to this, the Young Citizen of the Year Award was for between 18 and 30 and the Citizen of the Year was above 30. So this year was the first time they had reduced it to be above 21. I honestly didn’t think they would choose someone who was in their mid-20s. And I didn’t think that I’d potentially done enough things or contributed enough to society to be the Citizen of the Year. But it just goes to show that age is no boundary to whatever anyone is trying to achieve. And I was very, very grateful. In your own words, what do you think the award represents? I think it represents a recognition of people or groups coming together to add value to our society. At its foundation, that is what the award is about. It’s about understanding who someone is and why they’ve done what they have for their community.